You probably may have heard how a dude, Azeez Morofu, was manhandled by a mob at Ibadan (Oyo State, Nigeria) and handed over to the police at Iyaganku Police Station (within the same same). 1. That he withdrew money from an ATM without a debit card. 2. He was wearing a dirty pair of jean trousers! The surprising twist to the incident was that the Police who should know about cardless transaction, did not know that ATM Smartphone technology has made it possible for an individual to choose either to use their debit card or not when making withdrawals. The technology came into existence about two years ago, in the US when Wells Fargo Bank announced that customers could then withdraw money from ATM without using a debit card. 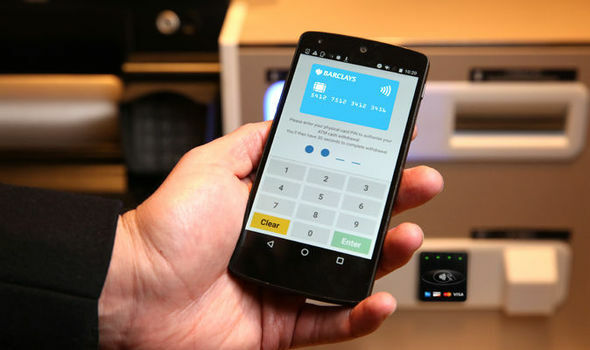 The new technology allowed smartphone-toting customers to withdraw money at all of its 13,000 ATMs without inserting their debit card. Customers then were required to input a code and their ATM PIN number to access ATM options. Wells Fargo’s move made it the first major bank in the US to roll out cardless cash withdrawals at its ATMs. The technology arrived in Nigeria much later in 2017, when 13 banks adopted Verve’s Paycode for cardless transactions. The financial institutions include GTBank, Fidelity Bank, FCMB, Wema Bank, Heritage Bank, Union Bank, Zenith Bank, Stanbic IBTC Bank, Unity Bank, Sterling Bank, Skye Bank, UBA and Access Bank, as well as Paga, ReadyCash, Quickteller Paypoint and FETS. The ATM Smartphone technology (cardless transaction) is still relatively unpopular, two years later after announcement and adoption (by financial institutions) in Nigeria. As we move to join the rest of the world in the emerging technological dispensation, our police and security operatives must also be educated and trained on how to withdraw money from ATM without Debit Card so as to teach them not to embarrass themselves the next time someone makes a cardless withdrawal at an ATM point. Click the option that states cardless withdrawal. Enter the amount you want to withdraw, and click the OK button. Enter the last 4 digit of your GTbank ATM card. Dial *919*30*Amount and follow the onscreen instructions.